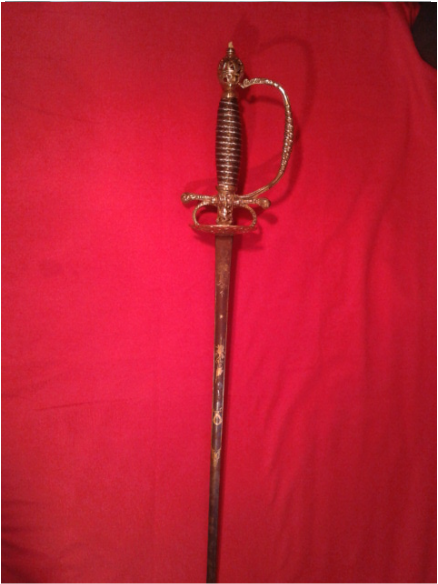 We owe a great deal of gratitude to Paul Johnson for allowing us to replicate this beautiful Small Sword. 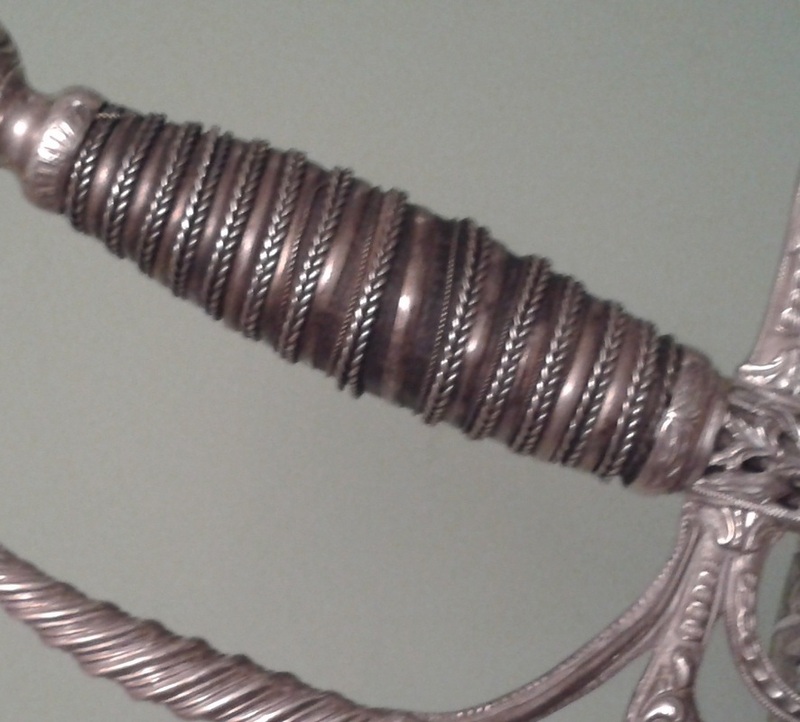 As soon as I had my first close look at this weapon I could see evidence that there had once been two small double twists of around .3mm silver, flanking the larger pair of double twisted wires. I decided it would be best to try and replace these strands without taking the rest of the wires from the grip. 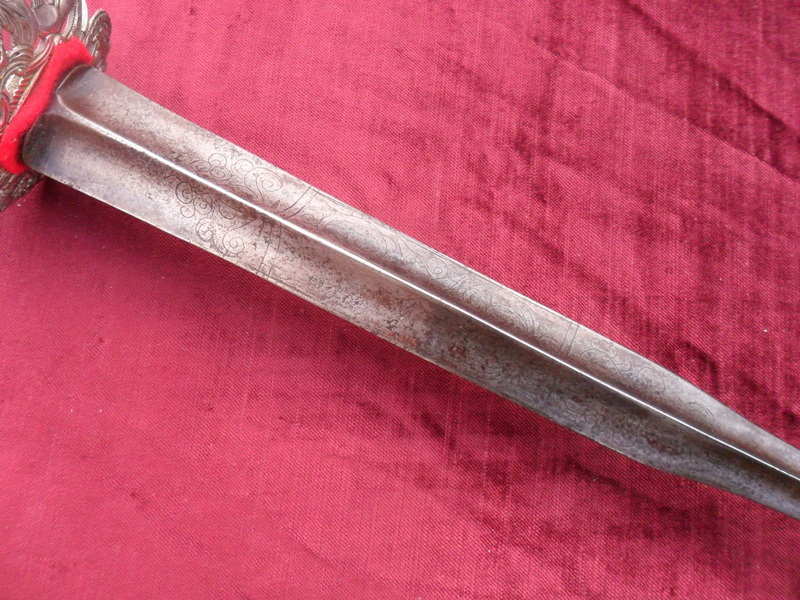 One of the two original small strands still clung very securely to the grip for about half the length of the grip and then terminate in a tiny hole in the middle of the grip. Perhaps an earlier attempt to salvage the wires. Rather than remove that half length of double twist I added new wires to replace those two earlier lost pieces. Consequently if you look from half way up the restored grip you can see the extra set of twisted wire directly above the larger featured pair of twists. The one on the right is fitted with an historic Solingan court sword blade. 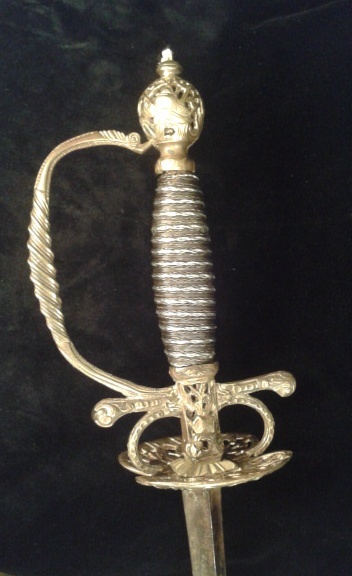 Reproductions, like the one below with modern epee blade, are currently priced at £350 without scabbard and £500 with. 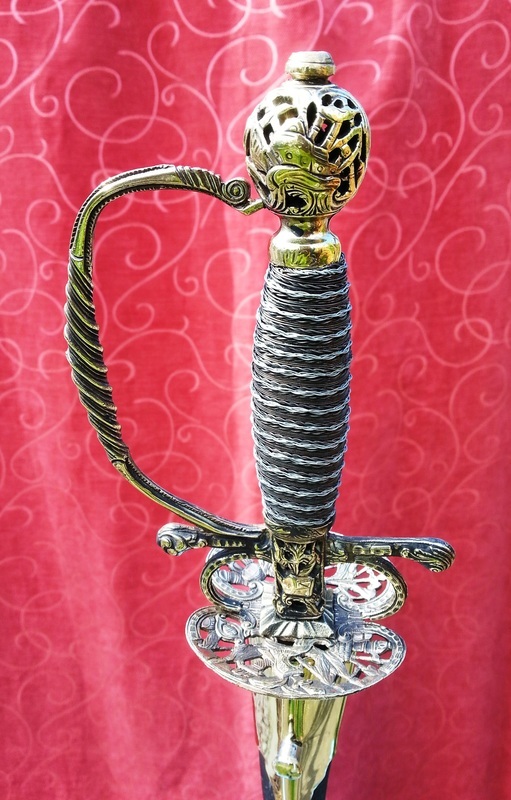 NB: This is a very delicate hilt. 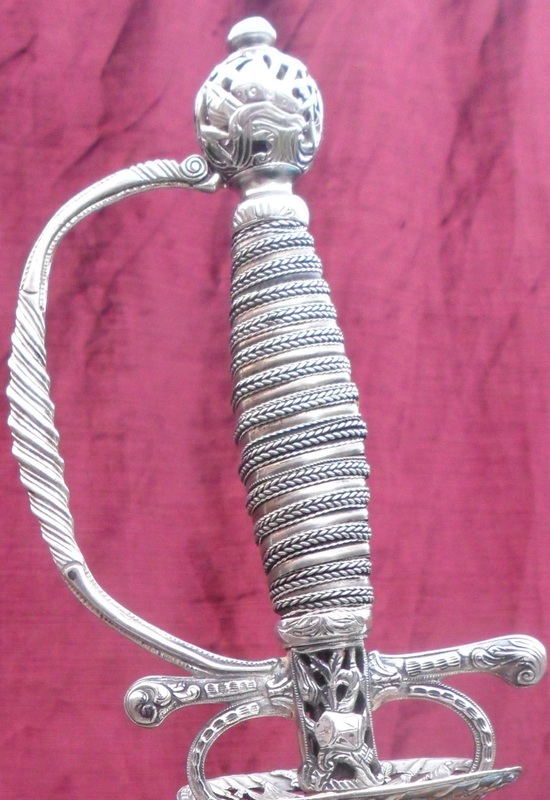 Of course the sword maker did not want to waste a lot of his silver so it is very lightly built. 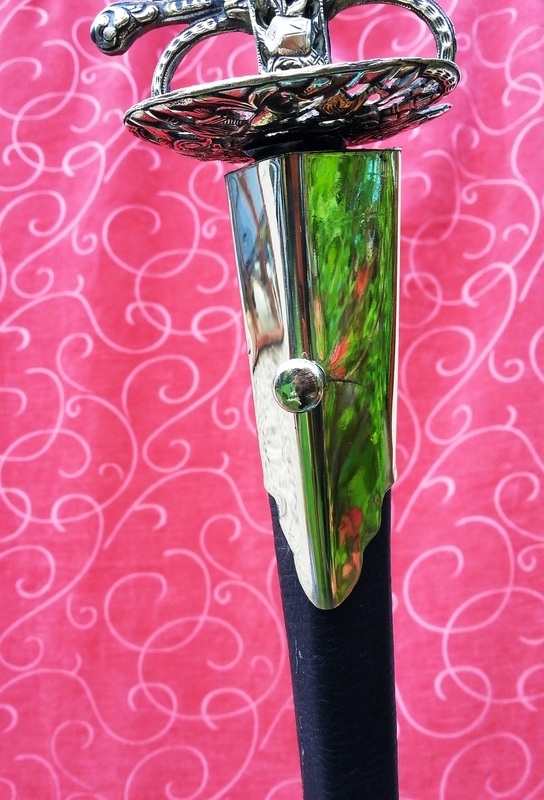 As a result we have a gorgeous weapon to replicate in silver or brass but we definitely would not recommend that you use this one on the fencing strip, It would probably not last the bout but as an investment piece... this is the one.